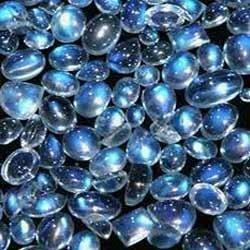 Prominent & Leading Manufacturer from Jaipur, we offer blue moonstone beads, blue moonstone cabochon, antique gemstone, blue sapphire, diopside stone and druzy gemstone. 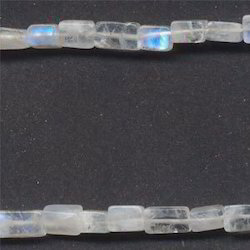 In our extensive product range, we are highly engaged to provide a quality approved range of Blue Moonstone Faceted Beads. These beads are transparent and beautifully crafted by our highly experienced craftsmen. Our offered beads are available in various shapes and sizes as per the requirements come out from our customers. Also, these beads possess healing properties of curing headaches, promoting digestion, and helps in maintaining calmness of an individual. We are highly engaged in offering an optimum range of Blue Moonstone Cabochon. The offered cabochon is valued in the market owing to superior quality and lustrous look. Our cabochon is available in all popular sizes, Shapes and qualities as per the requirements of the customers. We are a unique entity in the market, actively committed towards offering an optimum range of Blue Moon Cut Stone. The provided blue moon stone is precisely finished & processed at our manufacturing by the best workmanship as per the set guidelines of market. This blue moon stone is packed using qualitative packaging material from our side so as to ensure their safe transportation. Looking for Blue Moonstone ?